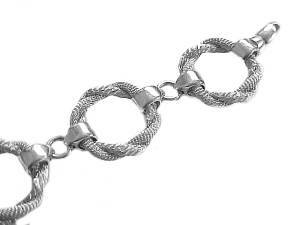 Home > Women's Plus Size Bracelets > Plus Size Bracelet Sterling Silver Heart 7 to 11"
This Plus Size Bracelet Sterling Silver Heart Bracelet has a Dangling Heart Tag in 7 Inch, 8 Inch, 9 Inch, 10 Inch and Extra Large 11 Inch for the Woman With a Large Wrist. 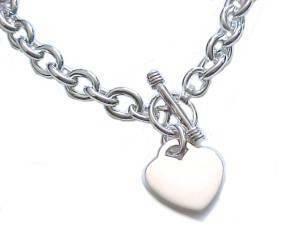 Has a Toggle Clasp and Polished Heart That You Can Engrave. 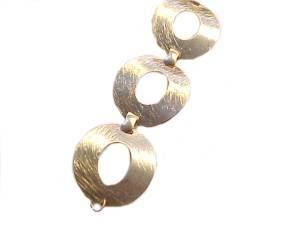 A Beautiful Gift Idea for the Full Figure Plus Size Woman. 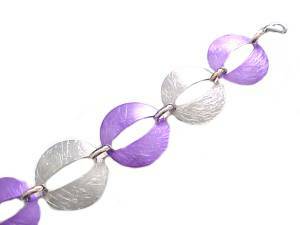 Standard Bracelet Size for a Woman is 7" to 7.5" and Size 8 Inch and Up is For the Plus Size Woman. Heart Tag is 7/8" Wide by 1" Long. 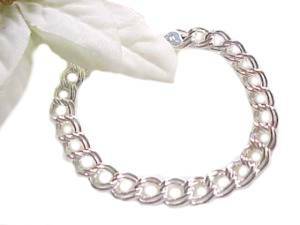 Bracelet Links are .25" Wide Dimensions are Approximate. See Free 1st Class Shipping Offers and Coupons on Qualifying Orders.